With representatives around the world and programs offering export funding and assistance, Global NY helps New York businesses enter or expand their presence in the global marketplace. 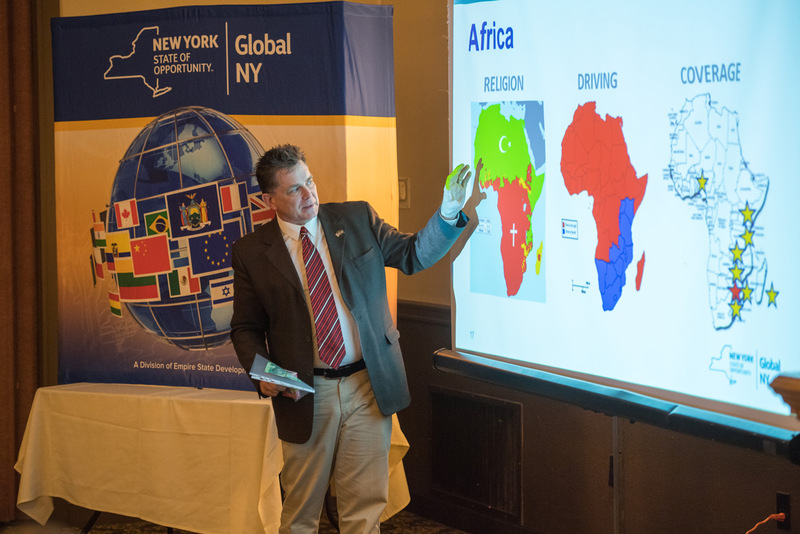 Our global network of trade directors provide local expertise for the markets they represent by conducting customized research, facilitating connections and identifying potential distributors and agents for New York companies abroad. Global NY’s six foreign office directors are currently located in Canada, China, Europe, Israel, Mexico, and South Africa. Jay provides 20 years of global expertise in strategy development and implementation, investment and trade, marketing, government relations, incentive programs and site selection. Through his association with Washington D.C.-based PSD Global, Jay represents the State of New York as Empire State Development's Global NY representative in Canada. Before launching his consultancy, Amer & Associates Economic Development, Jay held senior roles with a regional economic development corporation and with Ontario's electric utility. 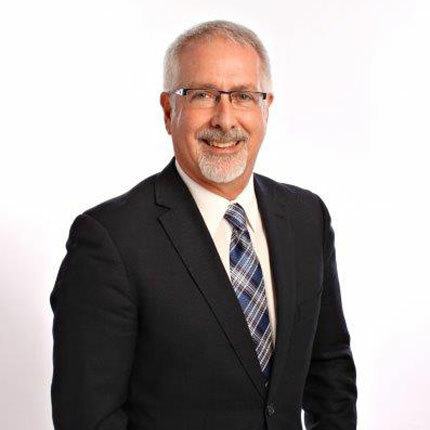 A past president of the Economic Developers Association of Canada (EDAC), Jay’s portfolio includes development of economic development strategic plans, economic research and analysis for investment attraction and trade, marketing communications, government relations and funding programs. Jay is a founding governor of Invest USA Canada, a Toronto-based organization aligned with AmCham Canada and facilitated by the U.S. Commercial Service that is designed to promote the U.S. as the premier destination for Canadian outbound direct investment (ODI) and to increase Canadian investments in the U.S.
With experience in business consulting and government relations, Wendy has assisted many private enterprises, government bodies and NGOs in carrying out their business development strategies in China. 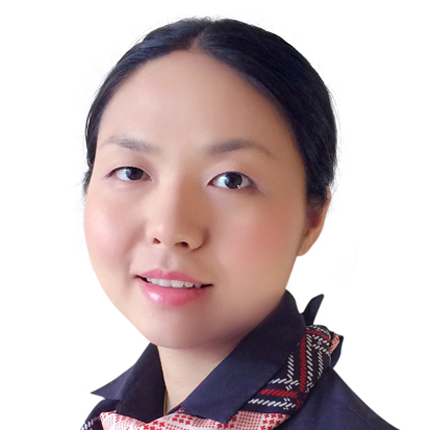 She has represented the Empire State Development China Office since 2014. Before that, she worked for Pennsylvania’s Department of Community & Economic Development office in Shanghai and also in a China entry strategy role with a private consulting firm at the beginning of her career. Throughout her career, Wendy has engaged in trade promotion, investment attraction and government relationship in several American states; and worked with private companies and NGOs in the semi-conductor, automobile, bio, advanced materials, aerospace, agriculture, food trading, financial services, architecture design and real estate sectors. She earned her Master’s degree in the U.K., majoring in the Management of Training and Development at the University of Edinburgh. Efren holds degrees from California State University Northridge and ITESM in Monterrey, Mexico. As an international business development consultant, he travels widely throughout the U.S. and Latin America addressing marketing strategies and opportunities to do business in Mexico. He’s consulted with federal and state governments in Mexico and overseas, as a representative of the World Trade Organization for the Ministry of Economy, a member of APEC negotiation board and a senior trade specialist for a recognized consulting firm. 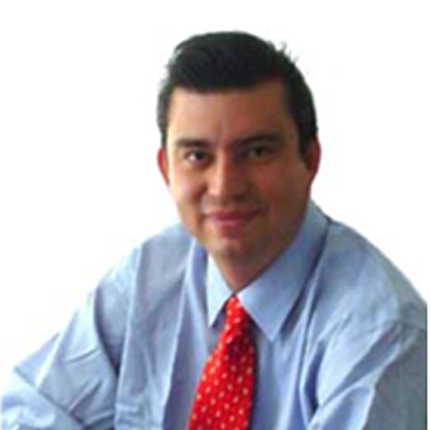 He is General Director of Global Business Partners Mexico, S.C., a firm he founded in 2006. Efren has participated in 45 trade missions to Mexico and has worked with more than 1,500 U.S companies from Pennsylvania, Michigan, Kentucky, New York and Wisconsin as well as European companies to establish business ties in Mexico. He’s been recognized for skills in negotiation, international business development, business culture, international trade and investment, market strategy, strategic planning, international sales and business management. Efren’s expertise spans a range of industry sectors including: automotive, environmental, agricultural products and equipment, heavy machinery, telecommunications, civil and general security, medical, plastics and chemicals. Gerry has been a business and economic development consultant based in Israel—and since 1998, Director of Global NY’s Office in Israel promoting exports from New York State to Israel and foreign direct investment from Israel to New York. In this role, Gerry has organized several Technology Cooperation Agreements between the State of New York and Israel. He has led several delegations of Israeli companies to New York and hosted visiting delegations. Most recently, he hosted a Global NY delegation, identifying potential distributors and import partners. Eight of the 10 companies signed agreements within six months. From 2003-2010, Gerry also managed the back office of a major Private Equity Fund. 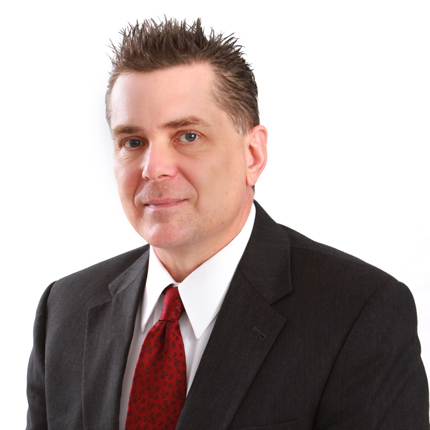 Gerry works closely with foreign investors, including U.S.-based semiconductor designer, Advanced Micro Devices. Gerry is a board member of the Friends of the Volcani Institute, the Israeli Government’s arm for Agricultural Research and Development and International cooperation, the Israel-America Chamber of Commerce in Tel Aviv and the Orthodox Chamber of Commerce. Gerry previously worked for the Israeli Government Ministry of Finance, both in Israel and in the U.S. He has an M.S. in Agricultural Economics and Management from the Hebrew University at Rehovot and a B.A. in Economics and Psychology from the University of Cape Town in South Africa. Born and educated in London, Terry has spent more than 30 years working with international companies to help them develop their business overseas. 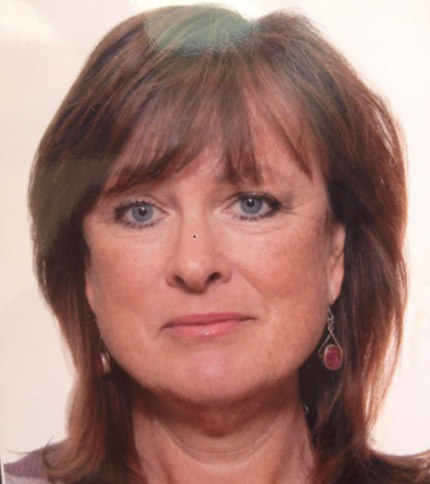 Terry honed skills in a range of sectors and geographic areas during her years with the Irish Trade Board in London, where she promoted and advised Irish industrial companies, and since then at IBDG, working with U.K. and international clients and accessing key decision makers in leading companies. Terry has also worked with a variety of regional and national trade development organizations and supported hundreds of companies in establishing their export business. With IBDG, she’s directed international trade development contracts with the Welsh Government, and the states of Virginia, Ohio and Michigan. Since 2015, she has been Director of the U.K. office of the Conference of Great Lakes St. Lawrence Governors & Premiers. She leads the IBDG’s trade consultancy team in Europe on behalf of Empire State Development in New York. 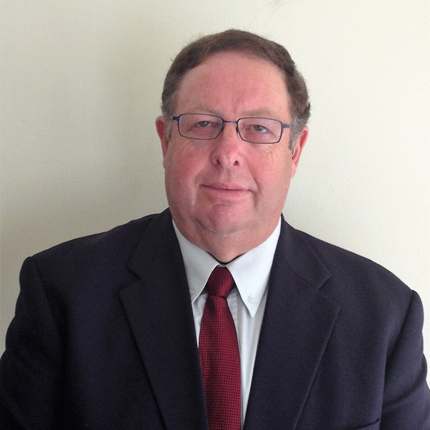 Richard is the Director of Zurcom International (Pty) Ltd, the contracted representative for the Great Lakes St. Lawrence Governors & Premiers, representing ESD/Global NY in sub-Saharan Africa since 1999. Richard came to Africa in 1993, and worked on humanitarian projects in the D. R. Congo for World Vision Relief before moving to South Africa in 1996 as an export manager selling into 20 African countries. In 1999, Richard opened the Great Lakes St Lawrence Governors & Premiers Africa Trade Office in Johannesburg, representing several U.S. state governments in international business development. Richard is Coordinator for the IBG Global partnership, providing trade network services through 22 partner companies in 56 countries servicing more than 150 country markets. Zurcom has worked with approximately 3,700 companies on international trade projects, with staff in South Africa, Ghana, Kenya, Malawi, Mauritius, Mozambique, Tanzania and Zimbabwe. Richard has a B.A. and M.A. in International Relations (University of Alberta; the London School of Economics) and an M.B.A. in International Business (University of Western Ontario). Prior to his move to Africa, Richard led development projects in Fiji, Papua New Guinea, Guatemala, Austria, Malawi and the Bahamas. Return to the main Global NY page.